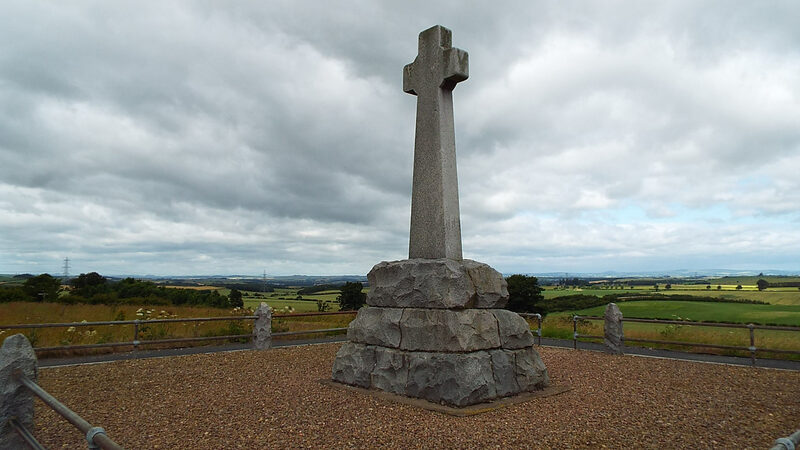 On the way north to St Andrews I stopped at the battlefield of Flodden, 9th September 1513, the battle at which the flower of Scottish nobility headed by King James IV perished at the hands of King Henry VIII’s English army led by the Earl of Surrey. 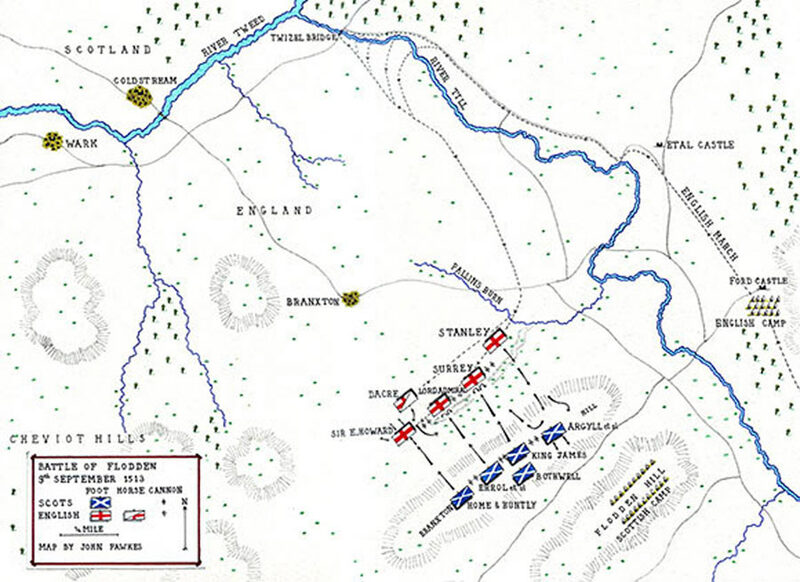 The battlefield is just south of Coldstream on the English-Scottish border. 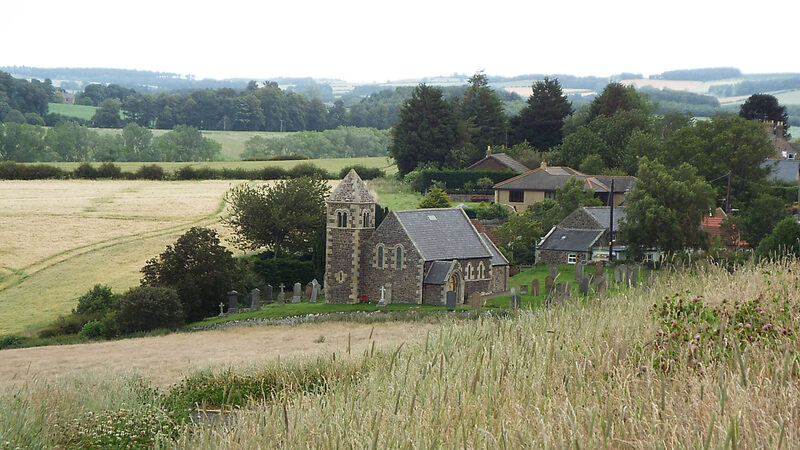 The memorial cross is situated on the hill that formed the English position. Flodden was a catastrophe for Scotland destroying most of the ruling elite in one day. 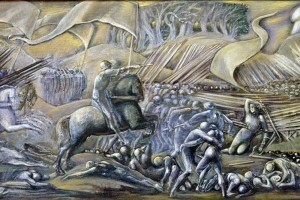 The lament ‘The Flowers of the Forest’, played at many funerals, was written to commemorate the battle. 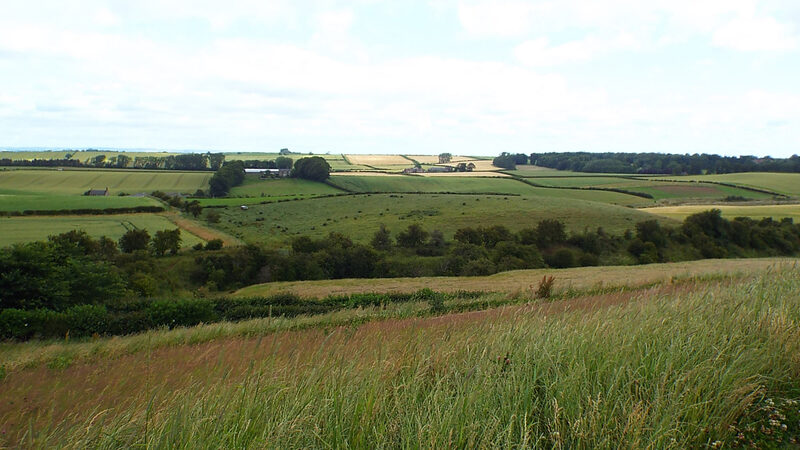 Battle of Flodden: Modern view from the English position across the valley to the Scottish position at the beginning of the battle and from which the Scots advanced to the attack.